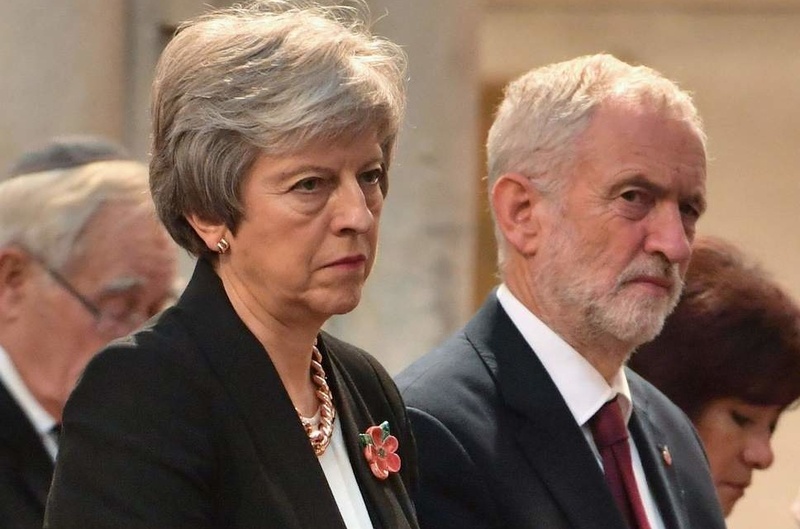 After a sudden reversal by UK Prime Minister Theresa May — giving up her plan for a Brexit Withdrawal Agreement, pursued for more than two years and enduring three Parliamentary defeats — she is meeting Jeremy Corbyn, the leader of the opposition Labour Party, on Wednesday. The two are seeking a proposal to put to the European Union before a deadline of April 12. There is some good news about Brexit. The magic eye picture of Britain’s policy is beginning to emerge from the random pixels of the referendum campaign’s promises and threats to a shadowy image of compromise. But there are three problems: Parliament is looking at the picture from a different angle to the Government; the picture is still more of a blur than a portrait; and time is running out fast. In Parliament on April 1, Speaker John Bercow – in the face of some criticism from Brexiteers – made the day’s proceedings a floorshow for the resistance. MPs undertook a second round of indicative votes to show which options they would support. Conservative backbencher Kenneth Clarke sought a customs union; his colleague Nick Boles proposed the “Common Market 2.0”, which effectively amounted to staying in the European single market. Two more options proposed another referendum and stopping the whole Brexit process if there is no deal. All four options failed to attract majority support. But each lost by smaller margins than in votes the previous week. Clarke’s customs union proposal failed by just three votes. We have learned that the idea of a softer Brexit is measurably more popular in the House of Commons than leaving without a deal or the Prime inister’s deal — particularly when one considers that Cabinet ministers were not able to vote on April 1). The Cabinet met for eight hours on April 2, amid reports of deep splits, many made evident in public statements. Justice Secretary David Gauke urged the Prime Minister to follow Parliament’s lead towards a customs union while Treasury Secretary Liz Truss told the Today programme that “no deal” was still on the table. The collective conclusion after this marathon meeting was that May must meet opposition leader Jeremy Corbyn to try to hammer out a common position to present to Parliament. This is as close as the PM has come to a government of national unity, which others have said may be necessary. Meanwhile, May will seek an extension to the extension of the UK’s departure from the EU, but not one so long as to embroil the country in EU Parliamentary elections. What are the portents for success? The optimist sees that May is under increasing pressure from Parliament and from some cabinet colleagues to cut a deal using Labour’s support. That might suggest conceding a customs union but not single market alignment. This would just about secure the only positive entry in the British history books still possible for May – Brexit with a deal. The doubters can argue that no modification of the Prime Minister’s plan has gained a Parliamentary majority, and several Cabinet ministers have threatened to resign if any is granted. May and Corbyn have met several times without any substantial policy outcome, and neither is a noted pragmatist. May is already touting fallback strategies for more Parliamentary votes if the talks fail. Meanwhile, EU chief negotiator Michel Barnier is talking up the prospect of no deal while French President Emanuel Macron is losing patience with the British in public. On the other hand, Peel was distinctive in being prepared to end his career by handing credit and power to his political opponents in the national interest while he walked into the wilderness. Whether that is true of May will be the test of her premiership.